Côte Fleurie (flowery coast) is the name given to the Pays d'Auge coastline, between the Seine estuary and the Orne river. At the seaside you can find beautiful sandy beaches. 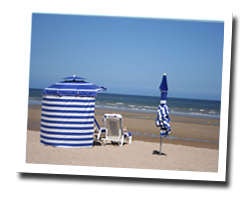 This area contains some of the most famous seaside resorts in France as Deauville and Cabourg. It is a pleasant place to relax in a romantic atmosphere. 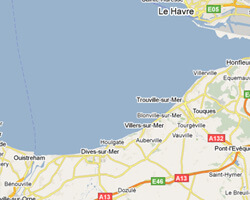 In Côte Fleurie enjoy a seaview holiday rental.